Noel Coward in reference to a question about being cast in one of his plays. Noel Coward (1899-1973) hand written letter on Royalty Theatre, Shaftesbury stationery. 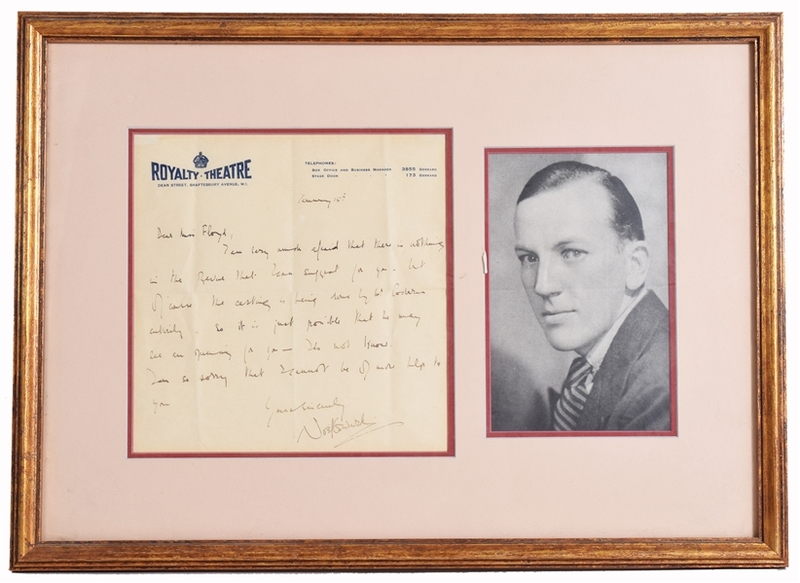 Sir Noël Pierce Coward (16 December 1899 – 26 March 1973) was an English playwright, composer, director, actor and singer, known for his wit, flamboyance, and what Time magazine called "a sense of personal style, a combination of cheek and chic, pose and poise"